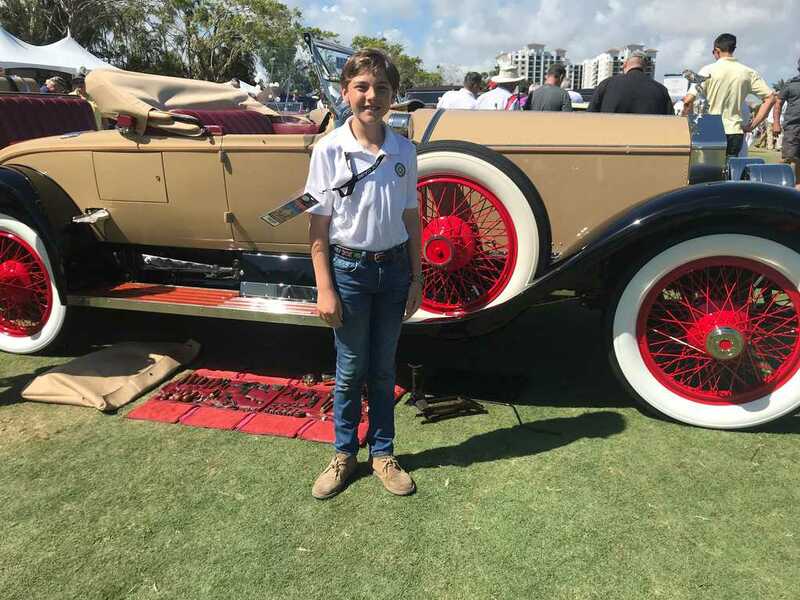 This morning I headed south from Wellington and spent the day at the Boca Raton Concours d’ Elegance. 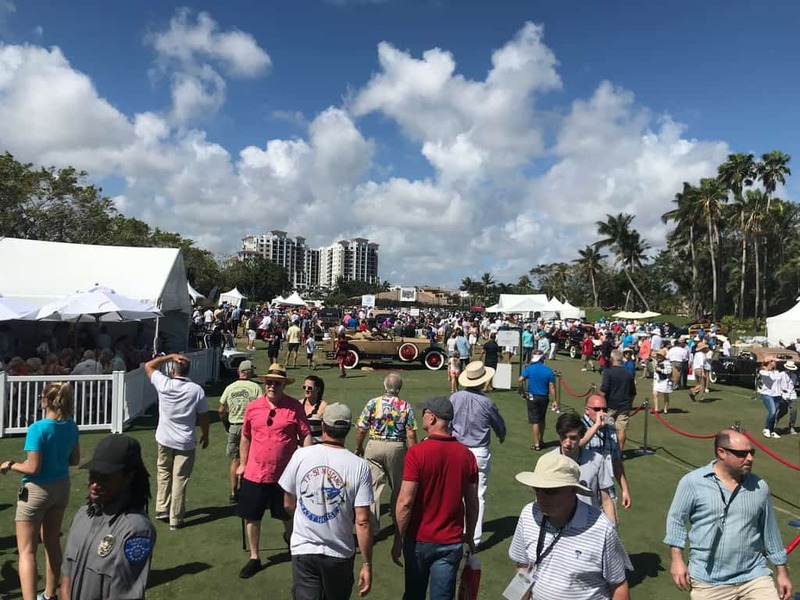 The annual event is held at the Boca Raton Resort & Club and is now in its 12th year. 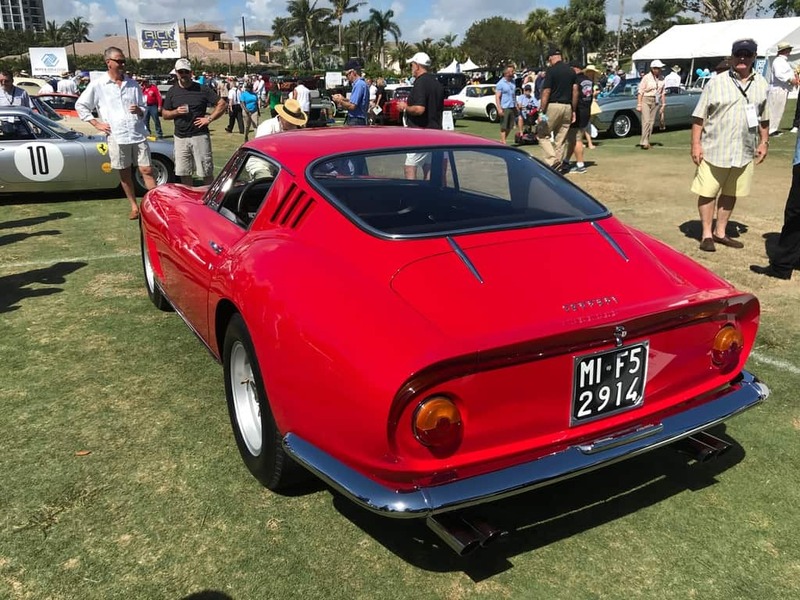 I attended the show several years ago when it was a small and simple affair. 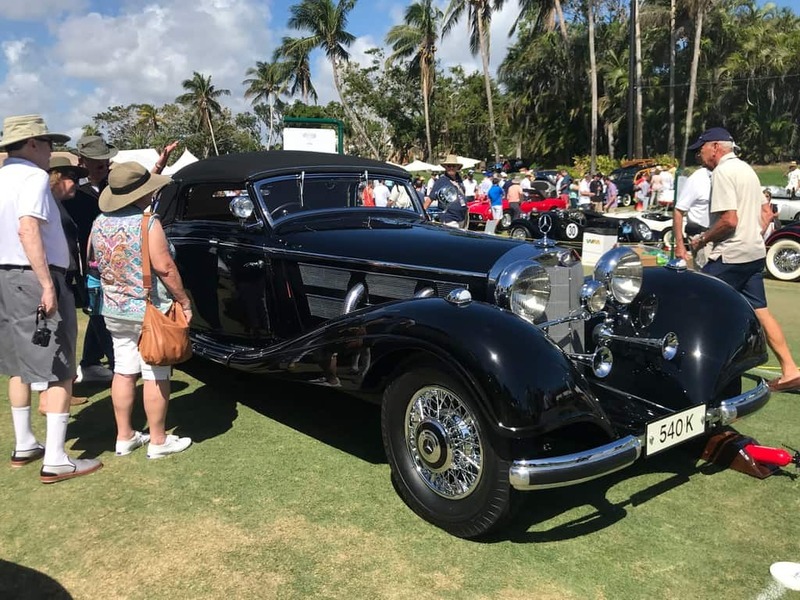 Founders Rick and Rita Case (of the Rick Case car dealership empire) have put their heart and soul into the show. 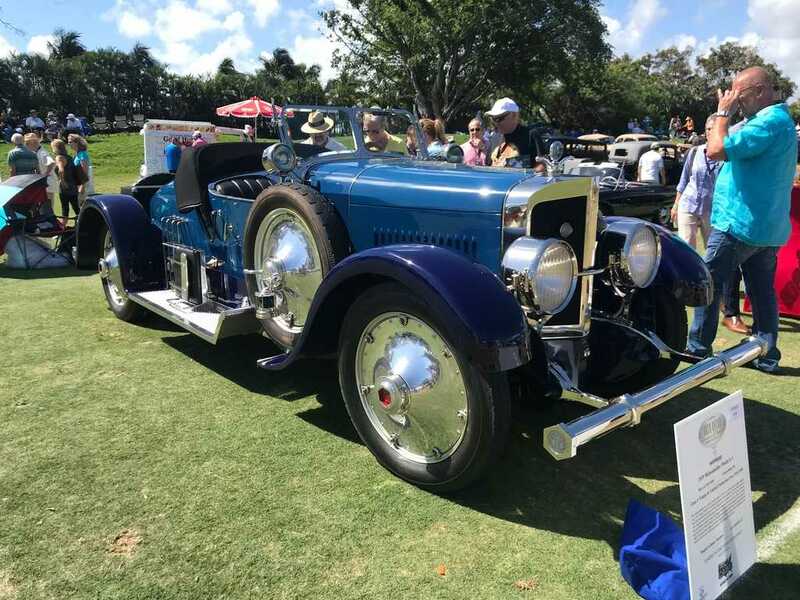 They are clearly on a mission to compete with the best—Amelia Island and Pebble Beach are squarely in their sights. 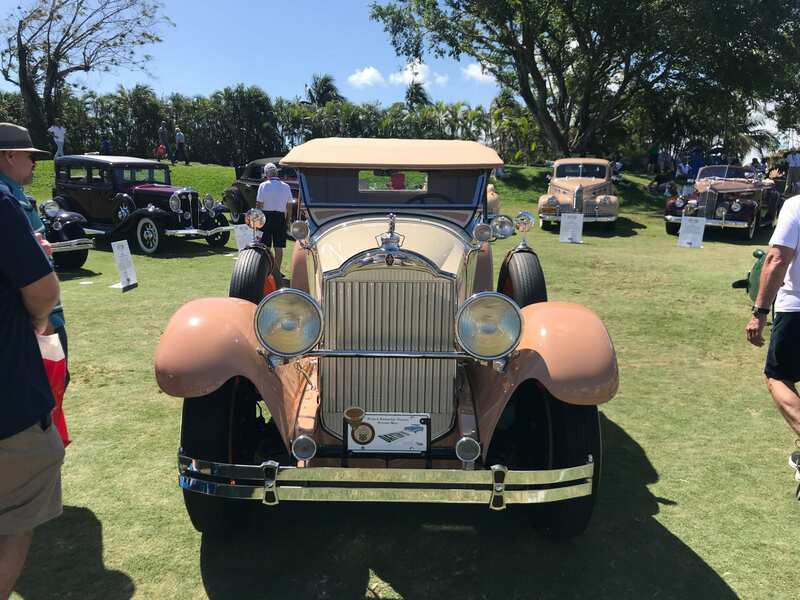 The Boca Concours has no paid promoters, producers, or staff and all proceeds benefit the Boys and Girls Clubs of Broward County. 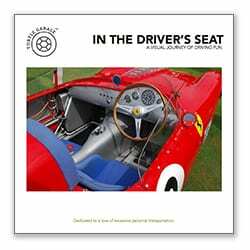 The 2018 list of officials reads like a who’s who of the collector car industry. 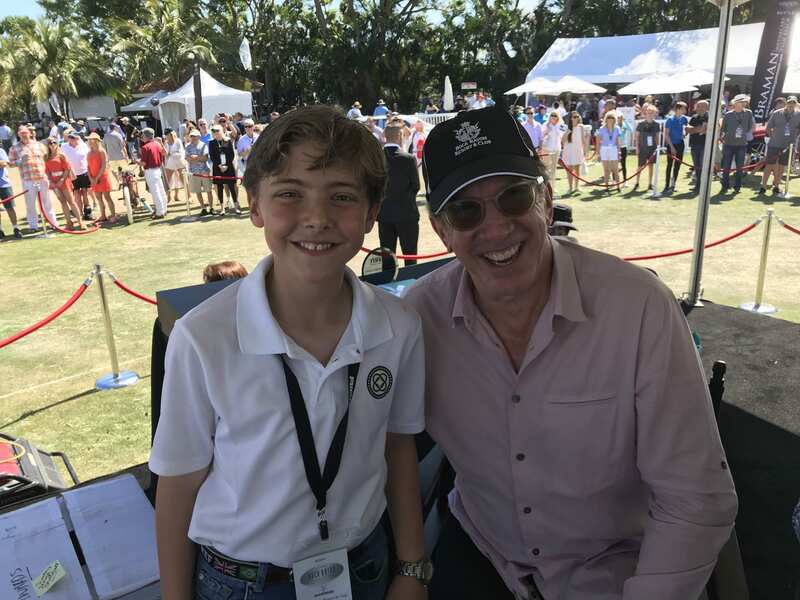 The Honorary Chairman was Mike Jackson, CEO of AutoNation. 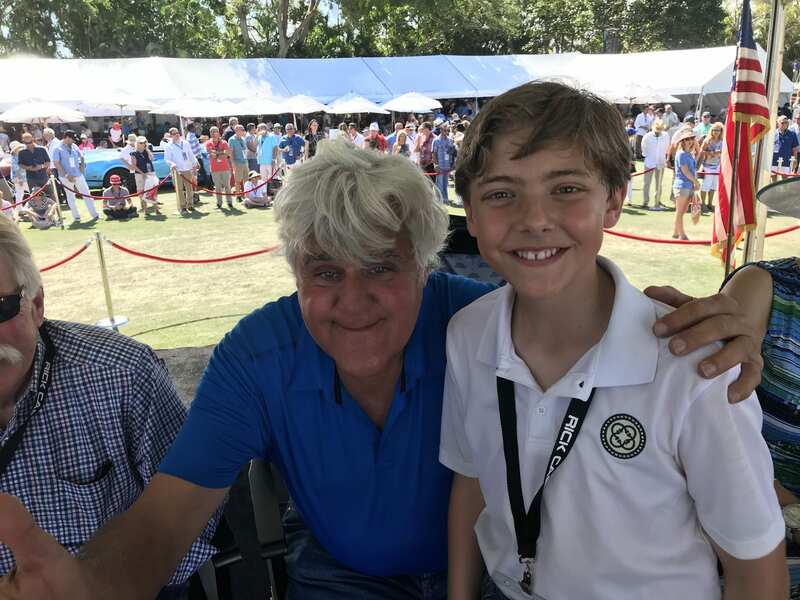 Event officials and judges included industry heavyweights Thomas DuPont, Bill Rothermel, Jay Leno, Tim Allen, Keith Martin, Wayne Carini, Luigi Chinetti Jr., Harvey Geiger, and Lilly Pray. 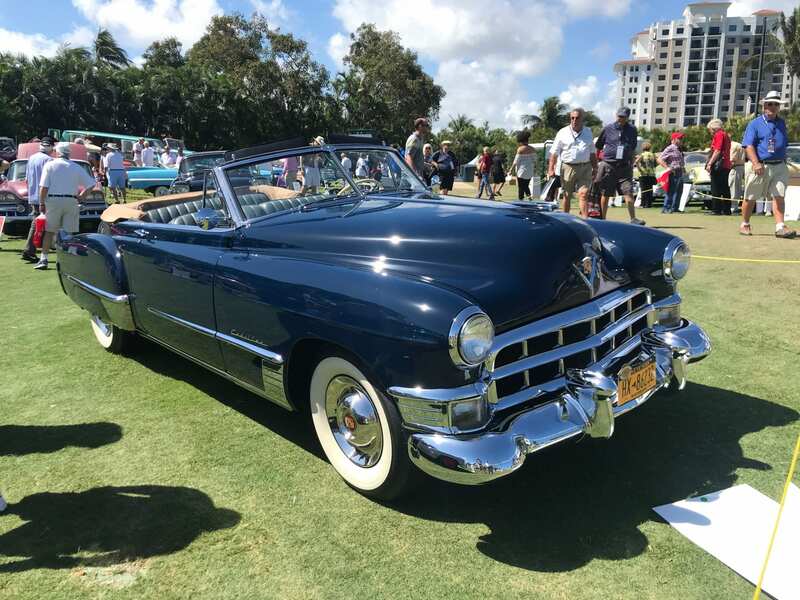 Based on what I saw today Rick and Rita are well on their way to making the Boca Raton Concours d’ Elegance a “must attend” on the Concours circuit. My friends Sam and Patrick came with me to the show. 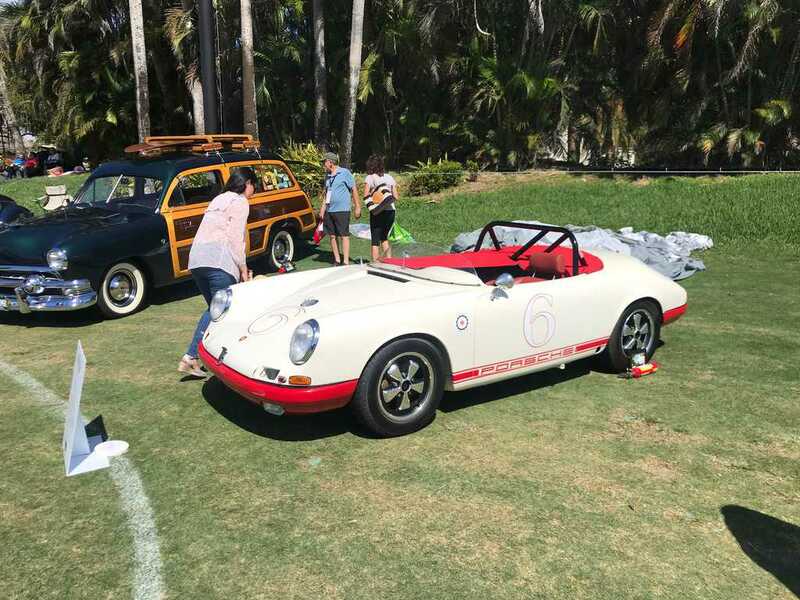 The drive down was a pleasure—we were in Sam’s Bentley GTC Speed convertible. Top down, we cruised south on the Florida Turnpike enjoying the warm Florida sun. We talked our way into the hotel valet parking area. At the front desk, our tickets were waiting for us—Lilly Pray graciously pre-arranged them. We walked the fields and took in all the sights. 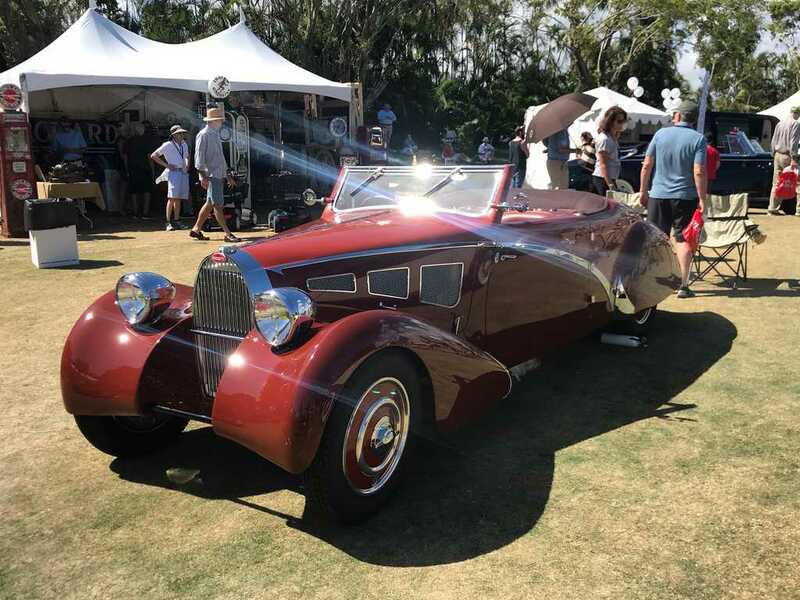 The show field was a curated wonder of American and foreign names, including brass era cars, Corvette’s, Ferraris, Packards, Auburns, and Lincolns (which were the honored marque this year). 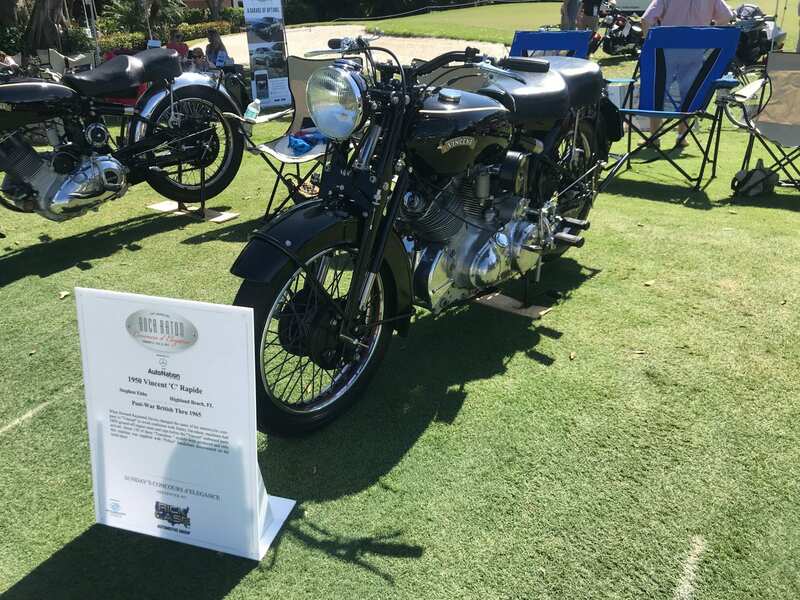 The Boca Concours also had an extensive motorcycle display. 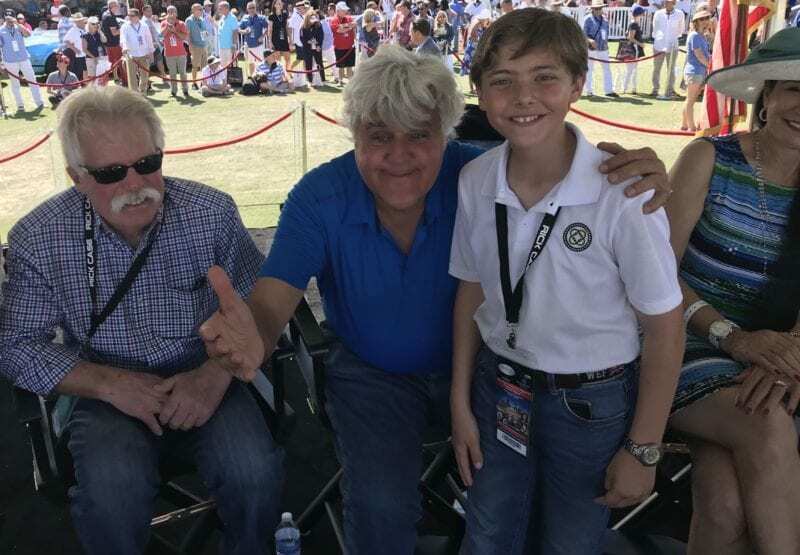 We met up with Sports Car Market’s Keith Martin who kindly took Patrick to the private awards booth for a photo opp with Jay Leno and Tim Allen. 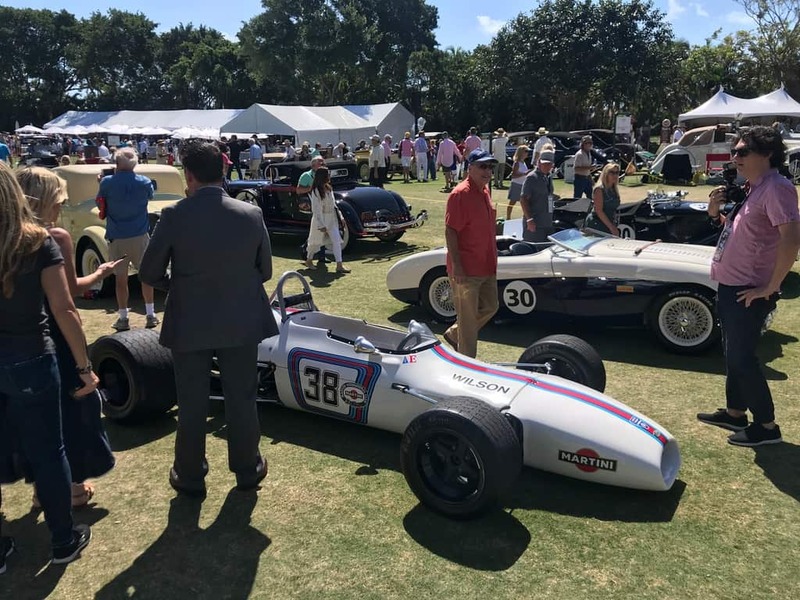 We then enjoyed the afternoon under the shade of the VIP tent sipping beer and wine while watching the beautiful cars receive their awards. 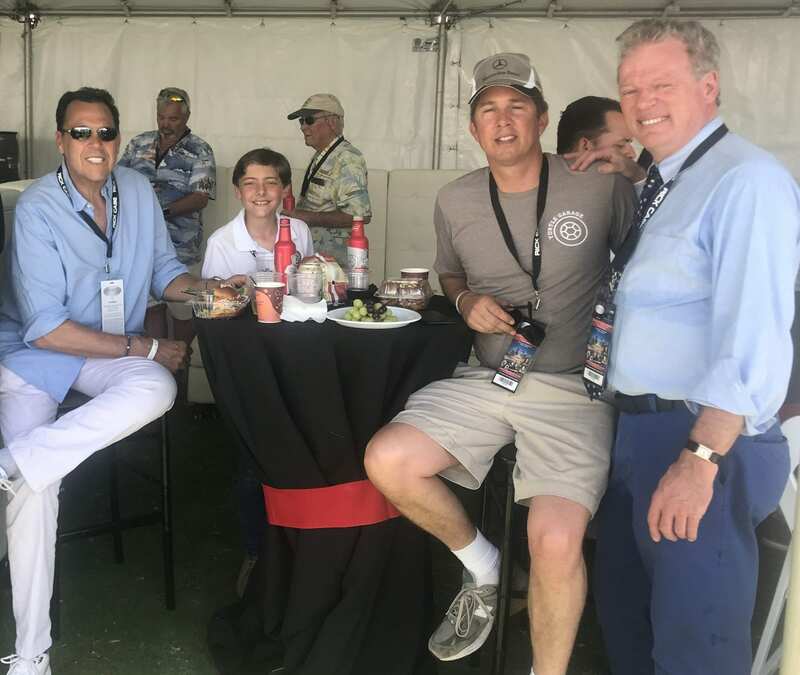 It was certainly a day to remember—a good time was had by all who attended. 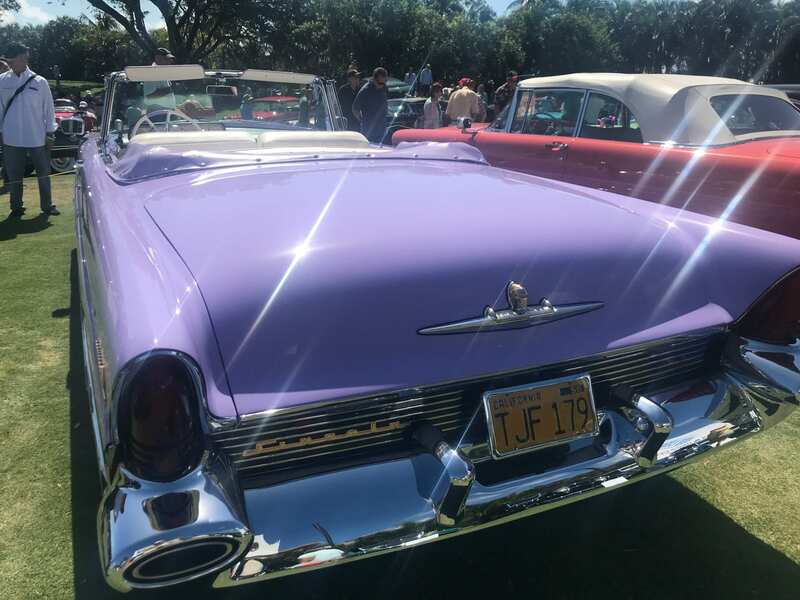 Hats off to the organizers for putting on a first-class event—you can be sure Turtle Garage will be there again in 2019. 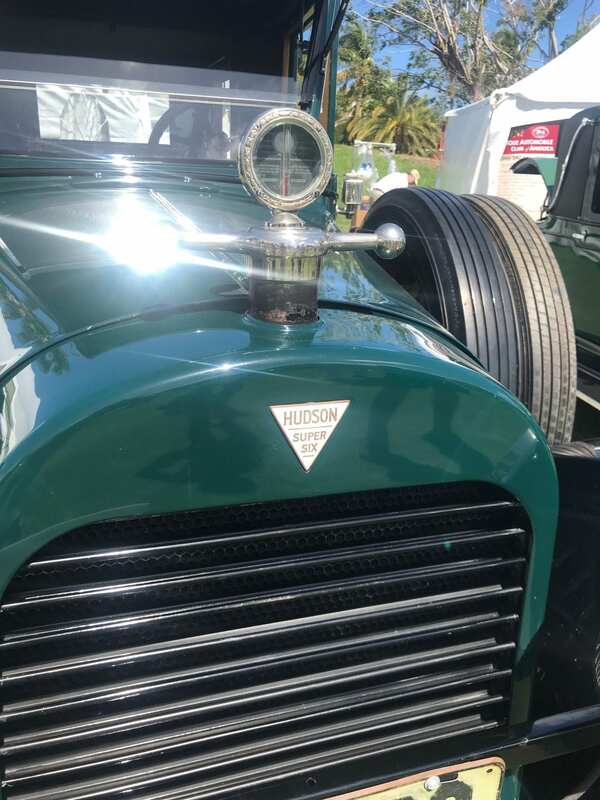 The show had its share of very unusual cars….. 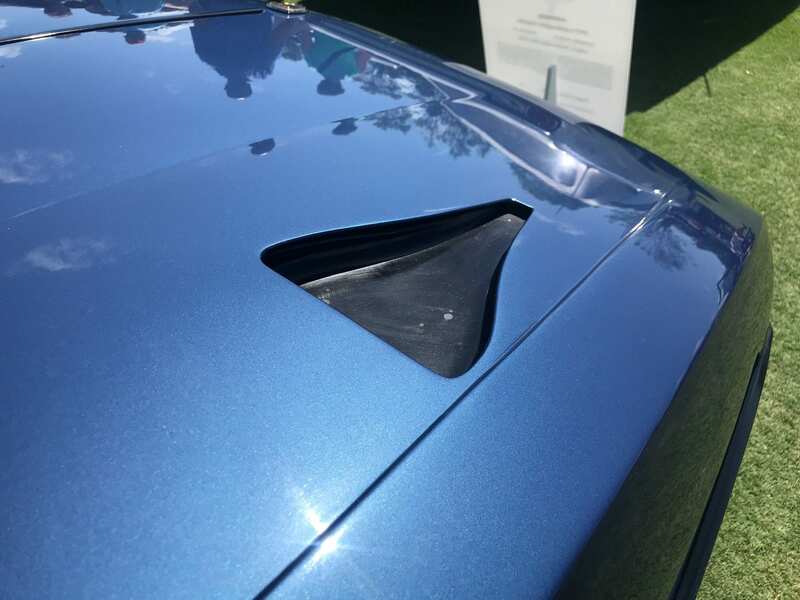 This Caddy looked 100% perfect…..
A trunk large enough for a moon landing…. 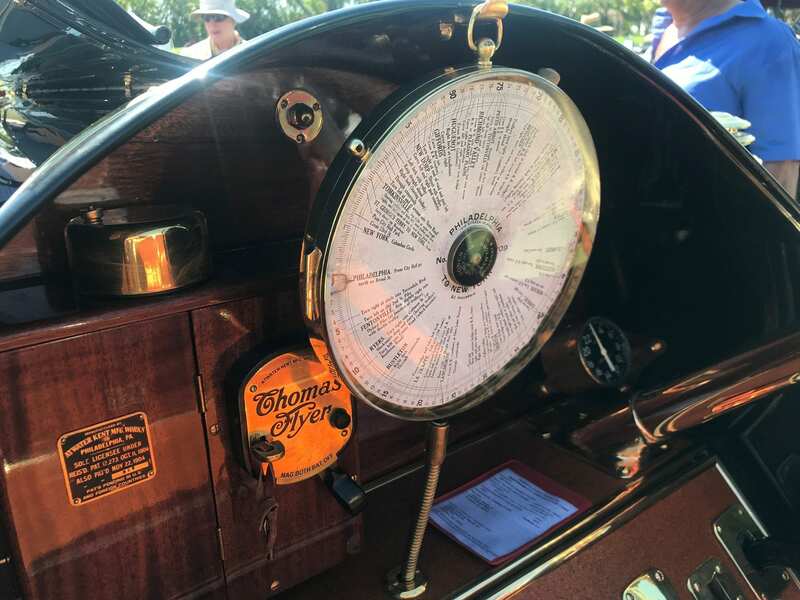 A true analog gage on a Thomas Flyer from Buffalo New York! 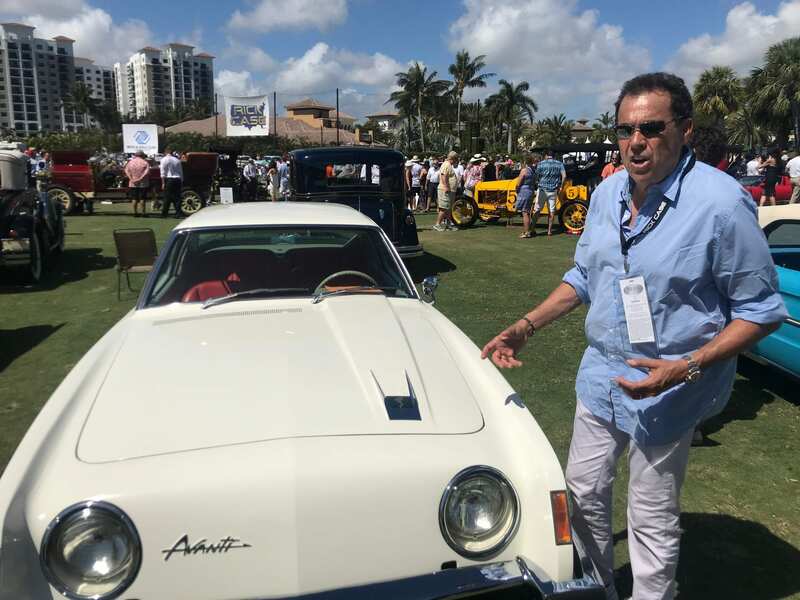 Sam explains the finer points of a fiberglass Avanti. 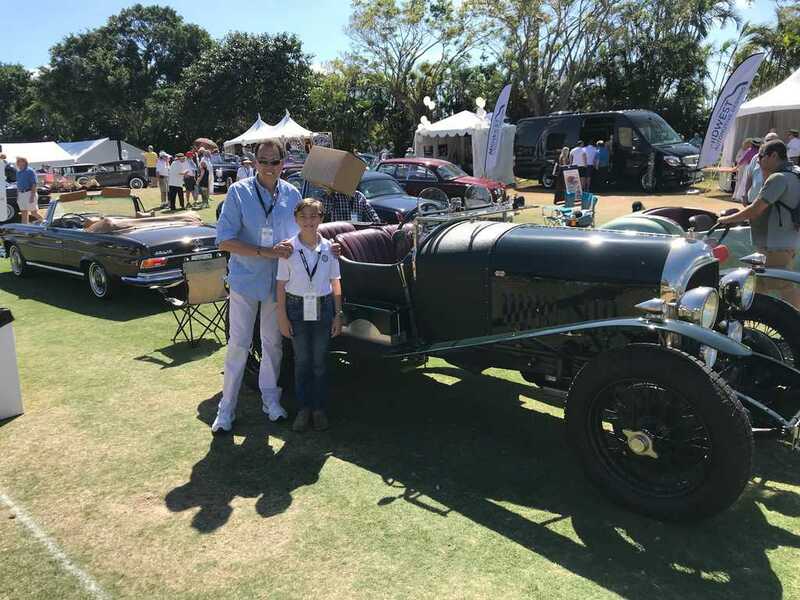 Enjoying the VIP tent at the Boca Concours! 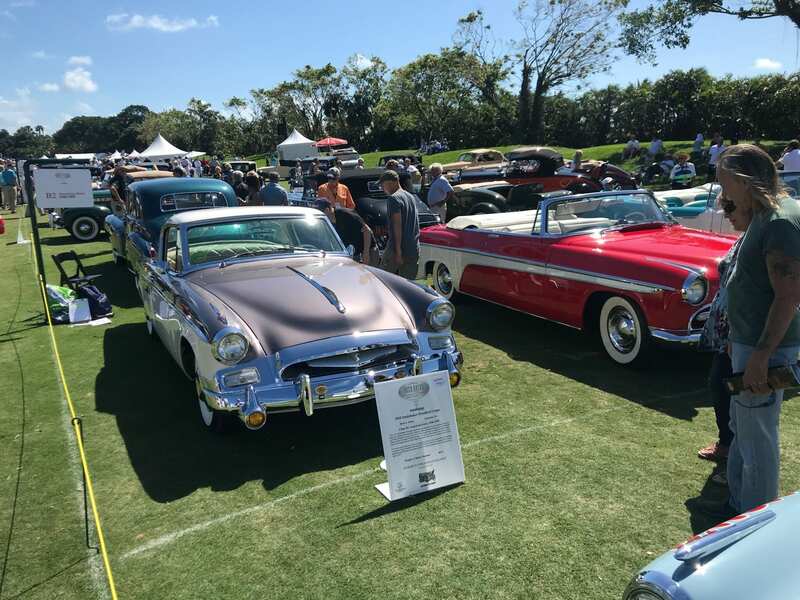 5 Responses to Boca Raton Concours d’ Elegance: Movin’ on Up! Very well done event. Thank you, Philip for your summary. I hope you enjoyed the event — I certainly enjoyed your write-up. It was a great show, highly recommend it! Seeing the photograph of the Vincent Rapide motorcycle, took me back to 1959. I was 17 years old, an age when I could have a real motorcycle, and I went to the local dealer in the town of Horsham in Sussex, with £125/0/0. It was the proceeds of an insurance policy, taken out in 1942. The salesman was a boy I had been to school with in my class. I inquired what they had for the money I had. Then there were rows and rows and rows of motorcycles for sale, some with sidecars. Basically, all British, BSA, Triumph, Norton, coming out of your ears. 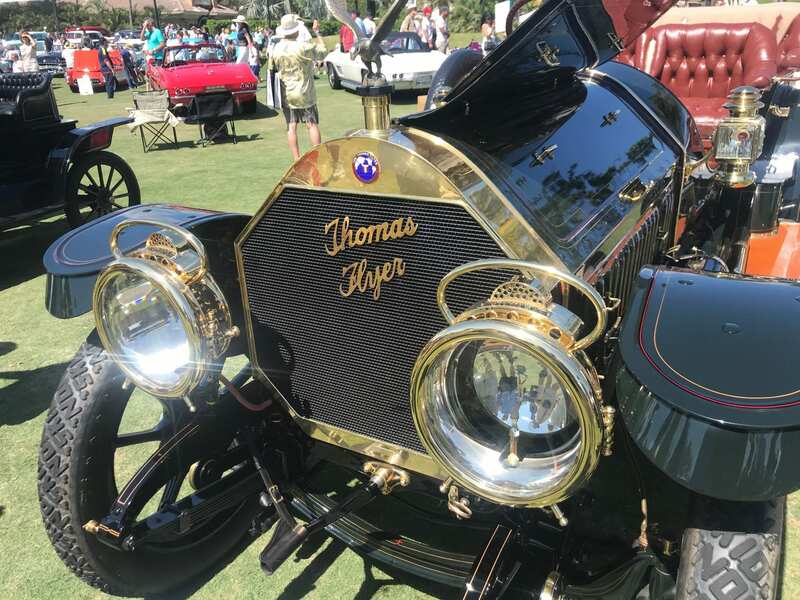 Also Vellocette, Royal Enfield, and pre- war models such as New Imperial, and a host of others. 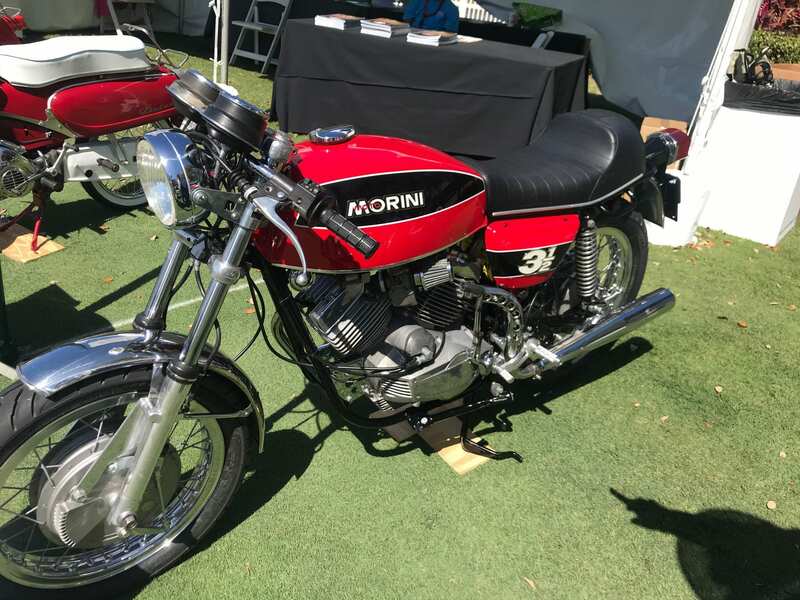 Of the first bike I was shown, was an age as, R7 engine, the racing version, in a road frame, click on handlebars, no delights, but start. No. The next was a Vincent Rapide for £125/0/0. It was about four years old, no it would’ve killed me. The so I settled on a Triumph Tiger Cub 200 CC. 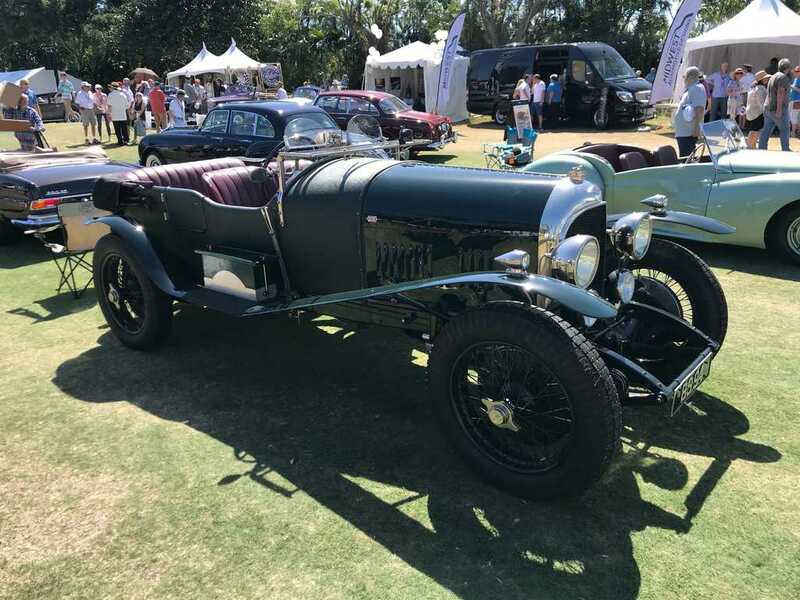 But after a year I wanted something a bit more sporty, that was a 1938 Triumph Speed Twin maroon with chrome tank, cost 7 pounds 10 shillings, £7/10/0 I use that to go to college in Brighton weekly for four years. Golden days..
1963, after working for a year in Monchengladbach, I bought my first new BMW, the R50 S, and that’s stayed with me till 2012. I have had BMW’s ever since. 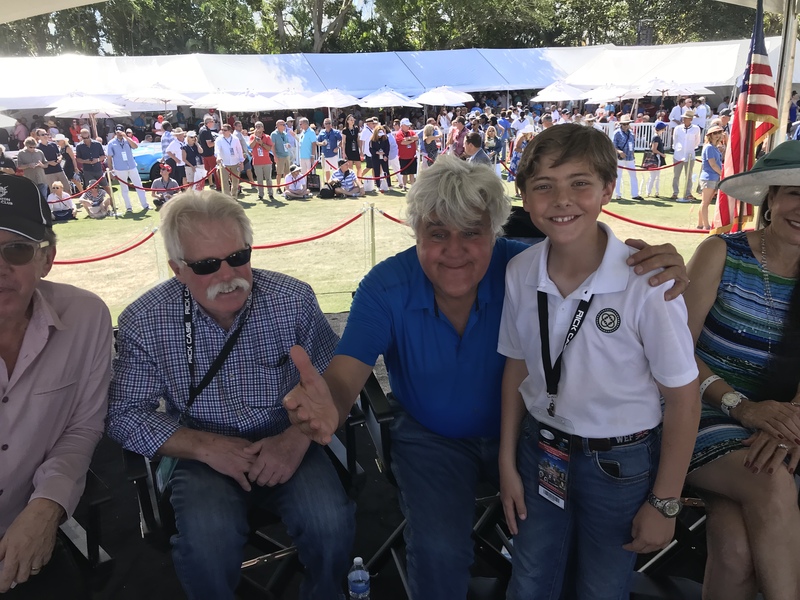 Robert, what a great memory to share with our readers. Felt like being there! We need a time machine to go back and buy that Vincent! Hope you are well!